Jeep is known for manufacturing some of the most innovative and capable SUVs on the market, and it hasn’t fallen short with the 2018 Renegade. It is a popular choice among consumers because it offers a wide range of features. There are numerous trim options to choose from that include the Limited, TrailHawk, Latitude, Sport, Altitude, and Upland. To learn more about the 2018 Jeep Renegade in the Thornton area, visit our showroom and browse through our inventory. We offer 2018 Renegade specials to Thornton shoppers. To give you a better understanding of what the 2018 Renegade has to offer, we have summarized its interior, exterior, mechanical, powertrain, and safety features below. The exterior of the new model offers a stylish and rugged appeal. You can opt for the available fog lamps that can provide you with superior visibility during snow, rain, or foggy conditions. The Sport trim comes with standard 16-inch steel wheels, and the Latitude comes with 16-inch aluminum polished and graphite crystal wheels. The Trailhawk comes with 17-inch off-road black aluminum wheels, and 18-inch aluminum wheels are standard on the Latitude and Limited. Other optional exterior features include a windshield wiper de-icer, cap-less fueling, and heated exterior mirrors. If you are interested in finding out more about the 2018 or 2019 Jeep Renegade near Thornton, stop by our authorized dealership. The Limited trim comes standard with high-gloss accents and Mckinley polar plunge leather-trimmed seats with matching inserts and stitching. The front seats can also be heated for additional comfort, and the driver seat features an eight-way power adjustable control that comes with lumbar support. You can also opt for the available CommandView dual-pane power sunroof. This sunroof has a power sliding glass front panel, a power sunshade, and a fixed rear glass panel. The 2018 Renegade also offers versatile interior configurations. You can choose a 60/40 split-folding bench seat or a 40/20/40 split-folding bench seat for additional convenience. The 2018 model also offers an optional height-adjustable cargo floor that can be easily moved up or down to help you securely store your cargo. The center console has also been redesigned and comes with a cargo net that helps you keep items secure. 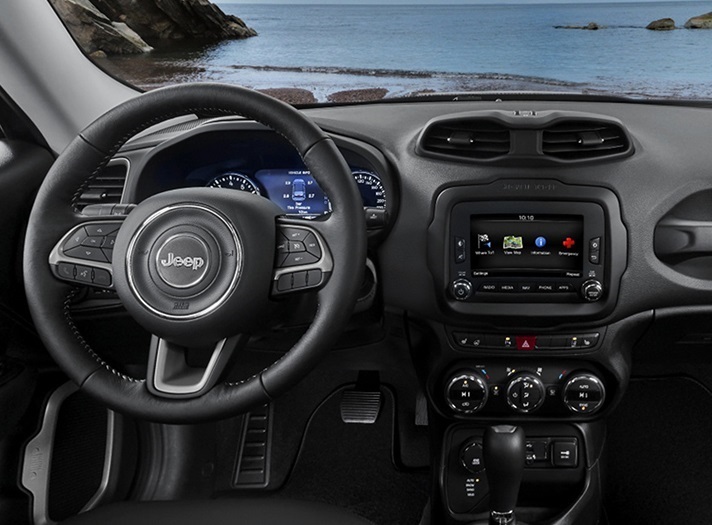 The infotainment system that comes with the 2018 Renegade is a Uconnect system that is paired with a 5-inch, 7-inch, or 8.4-inch touchscreen. The Uconnect 4C NAV infotainment system is paired with the 8.4-inch touchscreen and offers Apple CarPlay, Android Auto, HD Radio, SiriusXM Travel Link, Voice Command, and more. The Uconnect 4 is offered with the 7-inch touchscreen, and the Uconnect 3 is paired with the 5-inch touchscreen. If you want to see the interior of the 2018 Renegade, visit our authorized dealership where we offer Renegade specials to Thornton shoppers. The 2018 Renegade comes with a Selec-Traction Management System as an optional mechanical feature that offers superior traction with Auto, Snow, Sand, and Mud settings. In addition, the Trailhawk offers a Rock setting for optimal off-road capability. The Jeep Active Drive and Jeep Active Low 4×4 come with a redesigned rear axle disconnect that can smoothly transition between two- and four-wheel drive, which provides you with an efficient drive. The Trailhawk trim comes with an exclusive mechanical feature known as Hill Decent Control. This feature can monitor the speed, throttle, and braking to ensure that you have a smooth and safe decent when driving downhill. Another mechanical feature is Hill Start Assist that prevents rollback on inclines by automatically applying the brakes as you move your foot from the brake to the gas pedal. The 2018 Renegade offers two engine options. The 2.4L Tigershark MultiAir 2 engine can produce 180 horsepower with 175 LB-FT of torque. The other engine that comes equipped with the 2018 Renegade is a 1.4L MultiAir Turbo engine that can produce 160 horsepower with 184 LB-FT of torque. Both engines provide drivers with excellent and responsive performance for a superior driving experience. If you are looking for a 2018 Jeep Renegade in the Thornton area, save at Boulder Jeep. 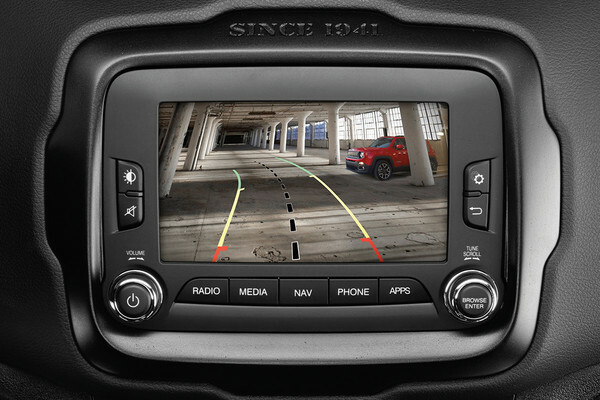 The Renegade comes with more than 70 available safety features that provide drivers and passengers with ample security. It offers seven standard airbags that include front and rear side-curtain airbags. There is also a driver-side inflatable knee airbag and seat-mounted side airbags. 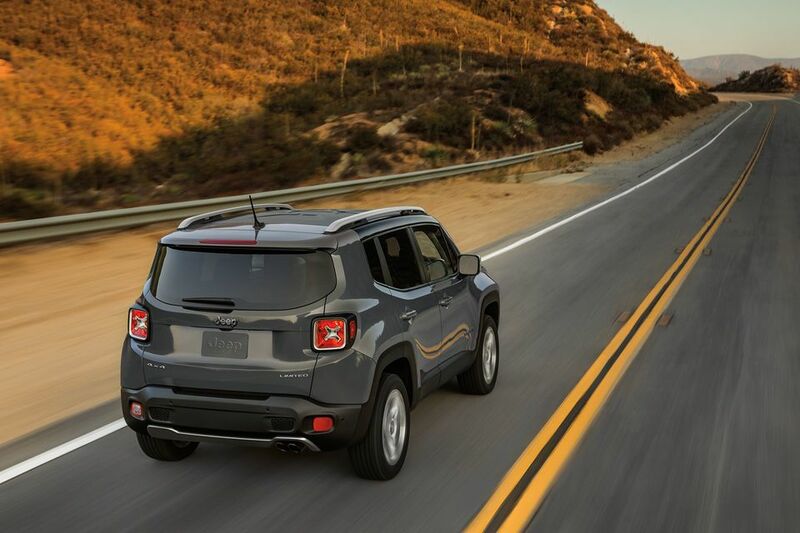 The Renegade offers a variety of active safety features that include Full-Speed Forward Collision Warning With Active Braking and a Blind Spot Monitoring System. It also features the ParkSense Rear Park Assist System and a ParkView Rear Back Up Camera. To learn more about the safety features that come equipped with the 2018 Renegade, visit our showroom and save at Boulder Jeep. 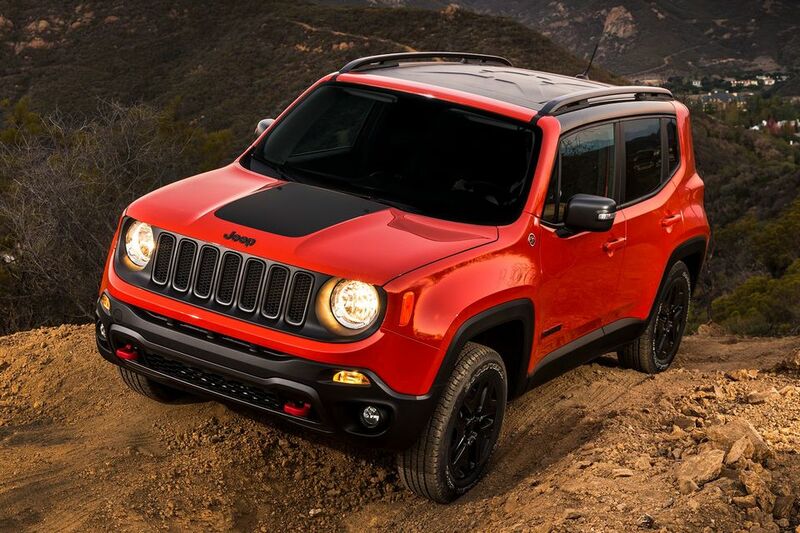 We can also provide you with information about the 2019 Jeep Renegade near Thornton. Do you want to test drive the 2018 Jeep Renegade in the Thornton area? 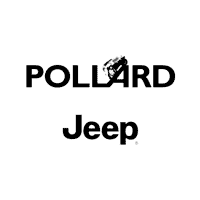 If so visit us and save at Boulder Jeep. We offer a variety of specials to Thornton shoppers. In addition, if you are looking for information about the 2019 Jeep Renegade near Thornton, visit our showroom to speak with one of our friendly representatives.